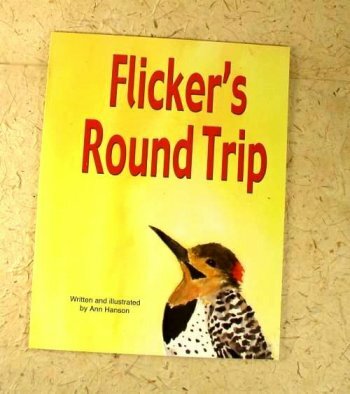 "Flicker's Round Trip", text and full watercolor illustrations by Ann Hanson. 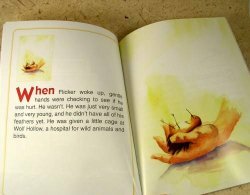 This is a true story of a baby Flicker that is rescued, helped and then freed back into the San Juan Islands forest where he was hatched. It is a reminder to treasure wildlife. Kid tested and suitable for ages 2-8. Paper Jam Publishing, 30 pages, 2nd edition.